Just a mini-series of Keep up! sessions this summer, as it’s a short term for our student volunteers. So come when you can in our free, friendly four-week series. 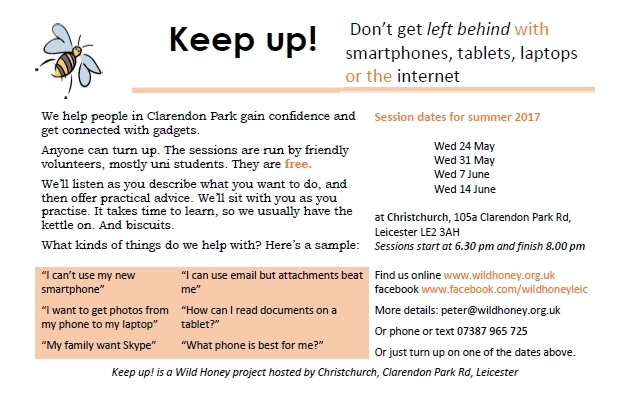 If you, or anyone you know, want to learn a bit more about your smartphone, tablet, laptop or other device…check the dates below and come along. You’ll be very welcome.